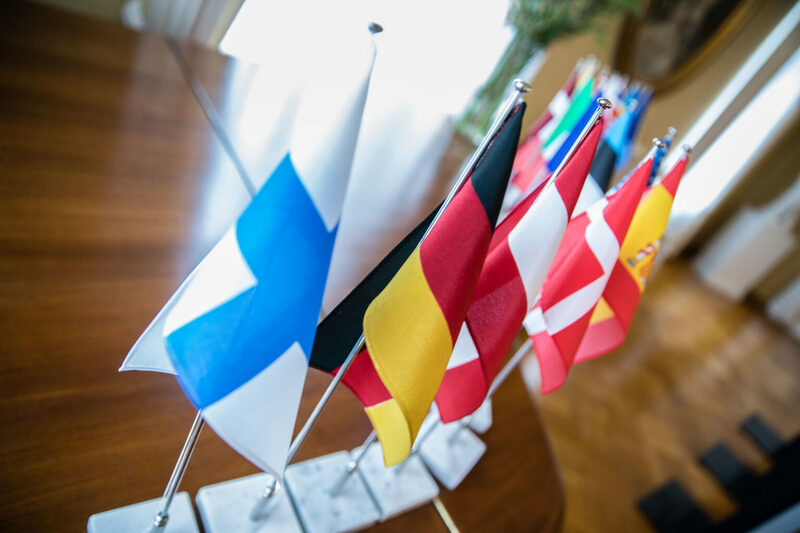 The European Centre of Excellence for Countering Hybrid Threats will launch its activities on 6 September in Helsinki in a high-level seminar “Hybrid Challenge 2017”. As a signal of the political commitment of the EU and NATO to the Centre, the seminar will be addressed by EU Commissioner for Security Union Sir Julian King and NATO Assistant Secretary General for Intelligence and Security Mr Arndt Freytag von Loringhoven. On behalf of the host country, Finnish Minister of Interior Ms Paula Risikko will give her opening remarks and Finnish Foreign Minister Mr Timo Soini his closing remarks. The seminar will gather some 100 participants from 12 participating countries. The discussions will be chaired by Sir David Omand, Visiting Professor at King’s College (London). The high-level seminar of Hybrid CoE will focus on the EU and NATO as well as national approaches to hybrid challenge and resilience, practices of hybrid influencing (academic and private sector views), as well as the Centre’s opportunities to promote understanding of hybrid threats and resilience. Due to increased opportunities for hybrid influencing during the present information age, the hybrid challenges are growing and hybrid threats have become a permanent part of our security environment. These cyber venues and vulnerabilities to influence decision making will be addressed by Mr Neal Pollard, Partner in Cybersecurity & Privacy Practice (PricewaterhouseCoopers US), and by Mr Clint Watts, Robert A. Fox Fellow at the Foreign Policy Research Institute (US, Philadelphia). The seminar aims also at identifying gaps in our understanding of hybrid threats and in our comprehensive security arrangements. These topics will be addressed by Mr Gregory Treverton, Professor of the Practice of International Relations at the University of Southern California (Chairman of the US National Intelligence Council from 2014 to 2016), and by Patrick J. Cullen, Senior Research Fellow at the Norwegian Institute of International Affairs. The seminar discussions will support setting the agenda for the Centre’s activities. Thus, the Hybrid CoE Director Matti Saarelainen will welcome the participants and the Steering Board Chair Jori Arvonen will address the way forward.